Four weapon slots, procedurally generated levels and lots of robots to destroy – welcome to Asterogue. This roguelike ditches turn-based battles in favor of much more fast-paced gesture-based action. Powerful weapon modules or not, you’re going to need quick reflexes and situational awareness if you plan on saving that planet of yours. Oh and it’s free. Free! FREEEE! Alright, onto the game. Even though there’s a planet in need of saving, the majority of your time will be spent killing stuff – in this case, robots. Lots and lots of robots. At first you won’t have much to work with. Maybe a tiny blade and/or a pistol, neither of which will do you much good in the long run, so it’s a good thing that weapon modules seem to be pretty common. Not all are upgrades though, so I’d recommend paying close attention to what you’re doing; especially since once you’ve replaced a module, the old one is gone. Forever. No backsies. At all. None. After I’d laid waste to the first dozen or so enemies and acquired some half-decent weapons, things started getting interesting and I felt like a badass robot slayer. Of course this resulted in me venturing deeper and deeper, all while taking on more fierce opponents and a mini-boss or two, along with some rather odd timed sequences; bet you’ve never played ‘blast the cage to free the whale’ in a roguelike before! And there’s that word again: ‘roguelike’. Since Asterogue doesn’t feature genre stables like permadeath or a proper leveling system, is it in fact a roguelike? Honestly, I’d say it’s more of an ARPG (Action RPG), and one with very little emphasis on loot to boot. I only came across actual items after each ‘arena’ had been cleared of enemies – everything else was scrap metal, which the game automatically sells for you. These items act as weapon modules, which can be put into one of your four slots and then used to lay waste to more robots, who will then leave more cash and new weapon modules behind, and… so on and so forth. How do you take down an army of malicious robots? By turning them into scrap, taking their weapons, and leaping right into the next fight, of course! 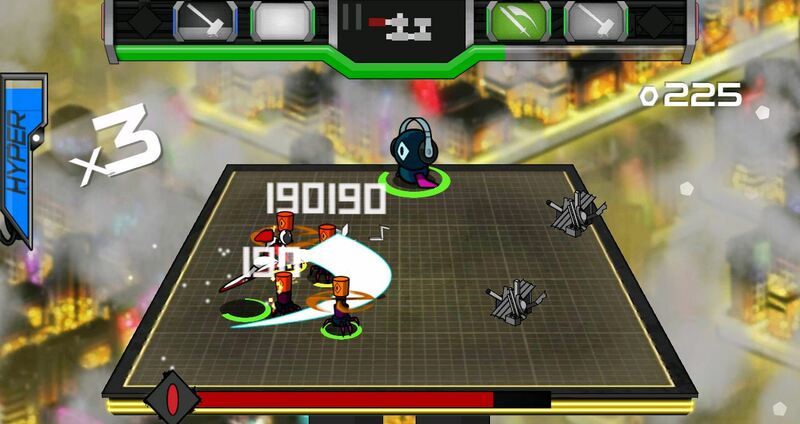 Combat is handled by simple gestures: swipe across an enemy to slice it, tap to shoot in its direction and so on. Moving your character around the screen is handled simply by tapping anywhere, which is incredibly useful for dodging and, well, staying alive, obviously. It may sound simple, but if you lose track in the heat of battle, chances are you will lose a lot of health or perhaps even find yourself biting the dust. Permadeath may not exist in Asterogue, but you do still get penalized for dying; it’s not like you really needed those weapon modules anyway, right? To prevent this loss, you have the option of returning to your ship after each level. This does reset the current ‘dungeon’ though, so venturing onwards and risking it all instead might actually be the better option. Just don’t go too deep until your weapons pack a noticeable punch, since the challenge ramps up rather quickly. With three separate worlds to explore and a wide variety of enemies and weapons, if Asterogue manages to hook ya, chances are it’ll be part of your gaming rotation for a while. It may not be the deepest or most complex ARPG, even for a mobile game, but… it’s fast-paced, easy to learn and, most importantly, fun! 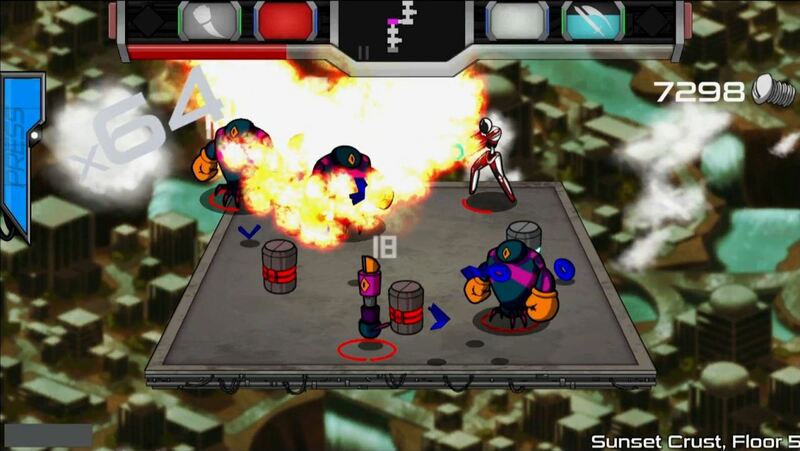 Pick your poison and go demolish some robots: Android or iPhone/iPad?